The only player as good as Anthony Martial with the ball at his feet is Lionel Messi, claims Argentina and Manchester United goalkeeper Sergio Romero. Martial, 22, recently turned down a new contract offer from the Premier League giants which has coincided with a recent upturn in form under manager Jose Mourinho. Paris Saint-Germain, Bayern Munich and Juventus are all reportedly keeping a close eye on the France international who’s scored five league goals in his last four Premier League games. And while Mourinho has publicly expressed his desire of keeping hold of the former AS Monaco forward, his teammate Romero has made a remarkable claim over his natural ability. 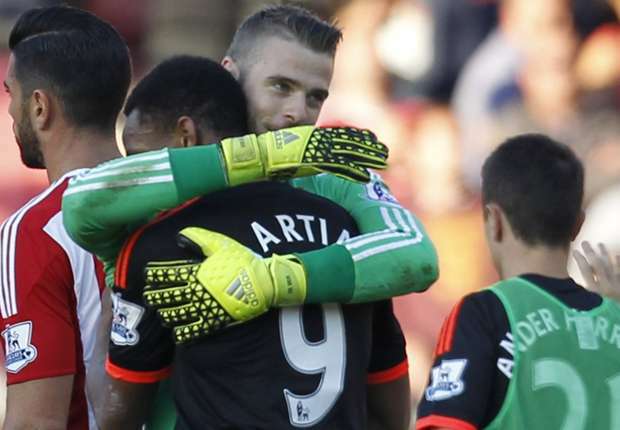 “He really is one of the best I’ve seen,” Romero told Manchester United’s official website. “I think that the only player in the world or who I’ve seen, running with the ball as if it’s stuck to his foot, is Leo Messi. “He can be going at top speed and the ball is always right on the end of his foot, it never gets far away from his control. That’s why he can do all the things he does. “But the thing that Anthony has which is quite similar is when he is running at top speed, he can stop the ball absolutely dead, in a split-second.